In its editorial (20 May 2016), the NZ Herald was concerned about NCEA because “nearly half” of teachers surveyed were concerned. The editorial provides a neat summary of what NCEA set out to do and notes that the moderation of the assessments has “worked well.” Then it notes that schools and parents get concerned when the “league tables” are published. Well, who publishes those tables? 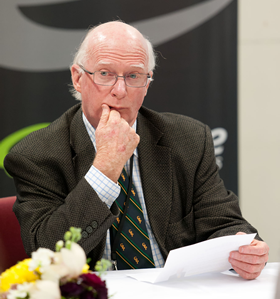 NCEA is the most liberating innovation in New Zealand education for decades, and certainly since World War II. At long last, students are able to get credit for what they know and can do, rather than be punished for what they cannot do. A parent that cares can see progress and, if the time is taken, can understand the skills that their young person has. The student knows what they have done successfully and what they need to do to build on that success. An employer has the potential to get more information about school success than ever before. But most employers aren’t looking for whether a student can pass a test. They are looking beyond NCEA, for further qualifications that indicate the skills required to be work-ready and to understand the basics of the profession. And this is where NCEA has proved a winner. Historically, our education system has been weak in helping students transition from secondary to post-secondary education and training, beyond the traditional high school to university track. With NCEA being a portable qualification – where students are able to generate credit for knowledge and skills demonstrated in different places – education takes on a whole new meaning. It means these students, who never saw the purpose in what they were doing especially, now see the point of education and how it can be practically applied to their lives. Since 2010, the Youth Guarantee scheme has seen the development of a variety of new approaches. The Manukau Institute of Technology (MIT) Tertiary High School catches students judged by their schools at Year 10 to be in danger of disengaging (or as the US calls it, “dropping out”). Four years later, we see a very different story. Our students are gaining high levels of NCEA and simultaneously completing vocational and technical qualifications that are industry recognised. For those that like the league tables: NCEA results as reported by NZQA are for 2014: Level 1, 100%; Level 2, 91.4%; and Level 3, 83.3%. In 2015 the pattern was repeated: Level 1, 80%; Level 2, 87%; Level 3, 100%. The innovation of Trades Academies into schools is more conservative but equally as successful. Students go to a tertiary provider (a small number of schools do provide their own Trades Academies supported by tertiary providers) – for example, MIT provides Year 12 students training opportunities across 10 vocational and technical areas. Each student on average gains 18 NCEA credits that they are able to add to the credits they have gained at school. But the gains go beyond this credit transfer, they develop a purpose for learning and they improve across all of their schooling as a result. They develop a line of sight to the world of work. And they also develop an understanding that education and training matters. A significant number of students involved in Trades Academies return to school to complete Year 13. None of this would have been possible without NCEA. It allows for flexibility, it allows for closer connection between students and the purposes for pursuing an education. It is in essence an educational currency that accumulates to a point where they have the entry price to a great future. It allows for students to develop an understanding of how their learning can be applied to the real world. It’s not NCEA that is at fault in creating too much work for teachers. It is the simple fact that our education system for the past 70 years has greatly over-assessed students. Even the old examination system was characterised by too much assessment. It’s what teachers do! We need to change how we measure success – do we value test results, or do we value real-world learning that leads to life-long skills in the workforce? One of the key findings of the Pathways and Transition suite of programmes at Manukau Institute of Technology (MIT) is that students who otherwise might find school hard reveal considerable talent and ability to learn when an early experience of applied learning triggers some inactive, inert ability that has not been released. The experience at MIT in 2015 suggests that given the different right stimulus, different learners will respond. In sum, the total credits gained in the 18 classes across 10 different technical disciplines averaged out at 18 credits per student from a course that was the equivalent of one day in school. Two things stand out. First, Māori gained on average 17 credits per student, Pasifika 16 credits per student and “other”, 20 credits per student. So success seems to be not displaying the same levels of discrepant outcomes that we are working to improve, it is more equitable. Secondly, literacy and numeracy taught in the context of these 10 is such that progress seems not to be the hurdle that schools would have us believe. This is also the experience of students at the MIT Tertiary High School. The programmes that are done have literacy and numeracy embedded in them – you learn the skills of literacy and numeracy in a context where they can be applied. It was therefore disappointing to hear the radio interview with the Principal of a large school claiming that NCEA Literacy and Numeracy was not working. He called for a return to having dedicated literacy and numeracy teachers – that would, he claimed, get the system back on track. This would of course be taking the teaching of literacy and numeracy back to the 1950s where the notion of teaching in a context of use had never occurred to any one. This also characterized schooling in the 1960s but it received a jolt in the 1975s with the publication of James Britton’s A Language for Life. It was from this that the notion of “language across the curriculum” gained ground. The argument was simple – every teacher uses languages therefore every teacher is a teacher of a language. Reading in Secondary Schools was a real focus of the late 1970s and into the 1980s. This was a good thing – you learn to read by reading and you also learn to write by reading – schools dabbled with reading sessions for all in one way or another. The University of Waikato back then and on into the 1980s did pioneering research in Science that showed that students succeeded in science largely to the extent that they could master the language of science. The evidence at the Tertiary High School, and in Trades Academies suggests that only in a few instances is specialist intervention in language/English and numeracy/mathematics needed. Of course, as happens in education, as soon as something is described as if it is a specialist task, an aura grows around it and the job is handed over to the experts. In the Tertiary Sector all lower level courses have literacy and numeracy embedded in them and the tutors are required to be trained to do so. Embedded literacy and numeracy trumps literacy and numeracy for no obvious reason every time. The education system has put on Edward de Bono’s seven hats ad nauseum but it doesn’t show. That is what is coming to the surface in secondary/tertiary programmes and not only in New Zealand. Early access to applied learning (e.g. trades, STEM, etc) develops cognitive skills in learners who have not until then been excited by learning. In other words, they become academic. A group of students who enter the MIT Tertiary High School because they are making worrying progress at school in Year 10 discover through the NCEA / Technical integrated programme that they can learn, and that they want to learn, and they carry on to get NCEA Level 3 and University Entrance. That is a small group but the rest of the cohorts achieve Levels 1 and 2 with some ease (and a lot of sound teaching!). The NCEA results (as reported by NZQA) underline this. The 2014 results were NCEA Level 1 100%, Level 2, 94.4%, and Level 3, 83.3%. The 2015 results are similar – L1 – 80%, L2- 87.9%, L3 – 100%. (Remember that the L3 groups are small). Most schools would feel pretty good with results like this! But wait, there’s more folks! In addition to NCEA achievement the THS students also get a range of technical qualifications at various levels simultaneously. Now this is not a competition between secondary/tertiary programmes and schools. It is simply evidence that multiple pathways that see education/school delivered in different ways, will get different results. We simply have to develop a level of comfort about those pathways and celebrate that it offers to many students better levels of success than they would face in the conventional school setting. Programmes such as the THS and Trades Academies are making a contribution to the outcomes for many and NCEA is a wonderful vehicle that allows students to bring their achievements together. Did I mention that MIT through its STAR courses programme allowed students to gain 40,914 credits (that is an average of 12 per student)? It couldn’t happen without NCEA. I’m in Australia at a conference – that of the Australia Vocational Education and Training Research Association. I am a member of the executive and it is good to catch up with colleagues and friends. There is a feeling of celebration in the air – it isn’t because of Queen Elizabeth II’s birthday, or the celebration of 400 years since Shakespeare’s death or even ANZAC Day (although they do make more of that over here than we do). Nor is it the prospect of a double dissolution election that Australia now faces on 2 July. No it is about the growing realisation that the future growth and health of the economy is not only in the hands of the universities. It has dawned on the politicians that addressing the flow of skilled persons into the workforce has reached a level of importance that it has now moved into centre stage. In opening the conference, the Hon Barilaro, Minister for Skills in the NSW Parliament reflected on his own experience – failing at university, shifting into his dad’s joinery workshop and becoming a chippie. He left a clear impression that he had done quite well and has clear aspirations that others should follow. It was a buoyant theme on which to start the conference. But perhaps even more heartening is the interest in what we are up to in New Zealand. There is agreement that we have the tertiary sector (I am not sure who “we” is actually) in a much more organised space than they have in Australia. Of special interest is the secondary / tertiary interface and I have spent a lot of time detailing this in conversations. I am pleased to report that the impact of the attack on disengagement which is the premise on which our comprehensive approach at MIT (I am careful to emphasise that this is the Manukau Institute of Technology) is based is starting to manifest itself in what one Principal calls a significant increase in the senior rolls that he attributes to the partnership opportunities at MIT taken advantage of by his school. We sometimes look at Australia and are inclined to think of it in terms of their own description as “the lucky country”. Believe me the gloss of this is starting to dim. It is time for us to start seeing ourselves as a lucky country. Not in any Pollyanna sense but in cool reflection on some of the advantages we have. Scale is on our side – the size of any issue with regard to education is not beyond our capability to respond. We have made greater progress with responding to both our “first people” as they call them here (how lucky we are to have access to Māori language to help us arrive at descriptions that are better) and the “Welcome to Country” seems simply to be endured rather than entered into with a degree of participative enthusiasm. There is much interest in the Māori and Pasifika Trades Training initiatives. Jobs are there and accessible for the well-prepared and well-presented. I strolled around the much talked about Barangaroo that looks more like a medieval walled city than a welcoming work site. I didn’t crack that code! I found out later that I could have brought a ticket to a tour – oh well, next time. Let’s just get on with it.